His eminence with Obeidi discussed latest developments in the political situation, and the future prospects of Reform and Reconstruction Alliance, stressed that institutionalizing the alliance contributes to the stability of political situation in Iraq. 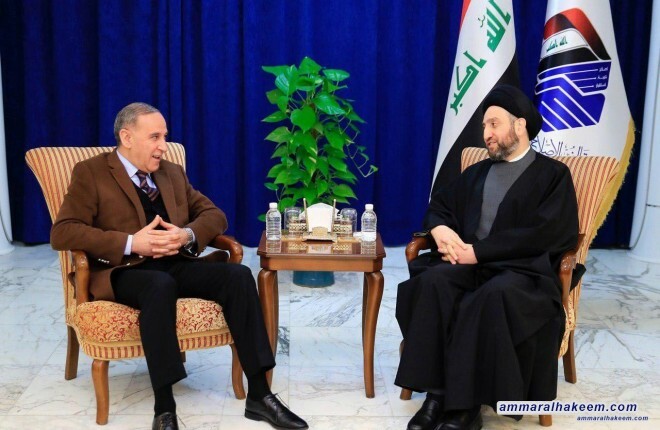 His eminence stressed the need to complete the government cabinet and appoint competent ministers capable of achieving the aspirations of the Iraqi people. His eminence stressed the necessity of openness to the political powers and communicate with all, reiterating his support for the government of Mr. Abdul Mahdi to implement the government program for service and development.